We are committed to creating a diverse and inclusive scene where all can feel welcome and comfortable, regardless of race, gender or sexual identity. We do not book racist, sexist or homophobic bands. Drink Sallah Coffee and Karaoke! 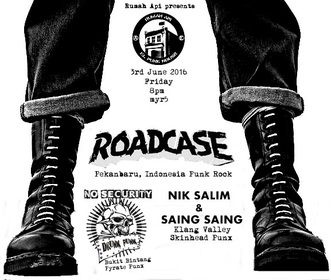 Rumah Api presents BORNEO ATTACK!